Matthew Bannister on political secretary Lady Falkender, designer Karl Lagerfeld, police officer John Stalker, author Andrea Levy and pop star Peter Tork. Lady Falkender who was the controversial political secretary to Harold Wilson for twenty seven years. 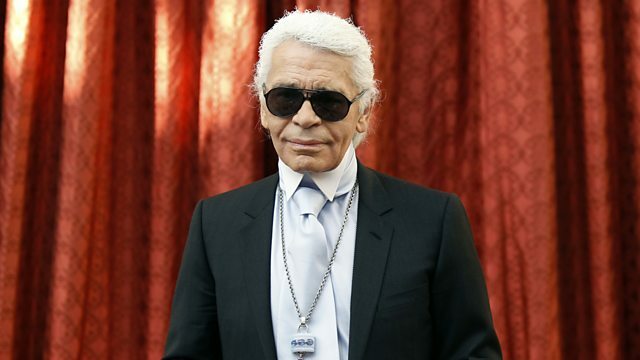 Karl Lagerfeld, the designer who re-vitalised Chanel, developed Fendi and became an icon in his own right. John Stalker, the Deputy Chief Constable of Greater Manchester Police who led an investigation into allegations of a shoot to kill policy in Northern Ireland. Andrea Levy, the award winning novelist who reflected the experience of children of the Windrush generation. Peter Tork who played bass with one of the first manufactured boy bands, The Monkees. Born 10 March 1932; died 6 February 2019, aged 86. Last Word spoke to Michael Cockerell, documentary maker and Julia Langdon, political journalist. Born 20 September 1933, died 19 February 2019, aged 85. Last Word spoke to Miles Socha, Editor in Chief of WWD and Kim Winser OBE, Founder and CEO of Winser London. Born 17 April 1939; died 15 February 2019, aged 79. Last Word spoke to Duncan Campbell, former crime correspondent for the guardian. Born 7 March 1956, died 14 February 2019, aged 62. Born 13 February 1942, died 21 February 2019, aged 77.